many people are familiar with "No Knead Bread" - it's a concept similar to a "dump cake" - toss all the stuff in, mix, no muss, no fuss. 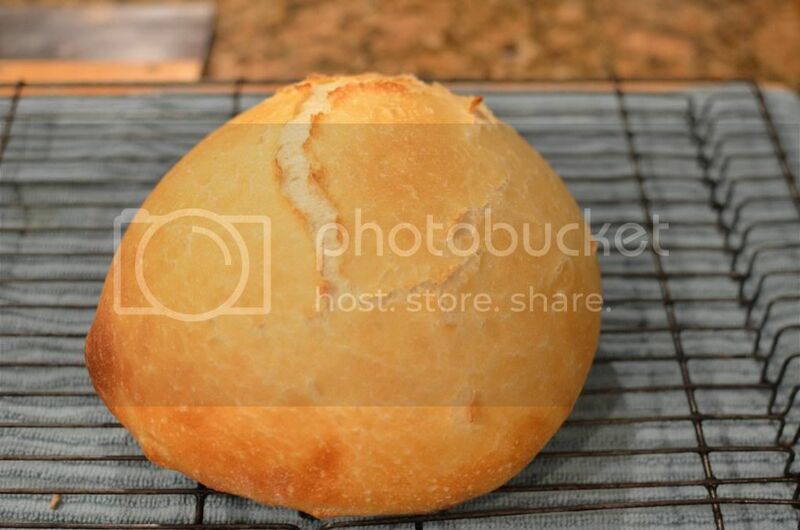 no knead bread however requires 16+ hours to develop (a) flavor and (b) gluten. now and then I have found myself in a severe shortage of hours-to-no-knead-bake, so I set about modifying the basic recipe for days when time has evaporated. - stand mixer with dough hook highly recommended - the finer crumb is a result of the more vigorous kneading. Note on the yeast - 1 tsp works in a cool 70'F/21'C kitchen in 3-4 hours. if you have more time or the kitchen is warmer - like in summer... - cut the yeast in half. 345 grams / ml hot tap water, stir briefly to mix. using a dough hook, 10 minutes kneading on slowest speed. preheat oven and baking / pizza stone to 500'F/260'C - be sure the stone has time to reach full temp. turn out onto parchment paper, form a round, used the stretch&wrap under technique to get a smooth top. give it 30 minutes or so under the bowl. the classic no-knead uses a covered bake + uncovered bake to achieve a nice crust. works, so I'm sticking to it. my pizza stone is 13 inches / 33 cm diameter, the stainless bowl slightly smaller. 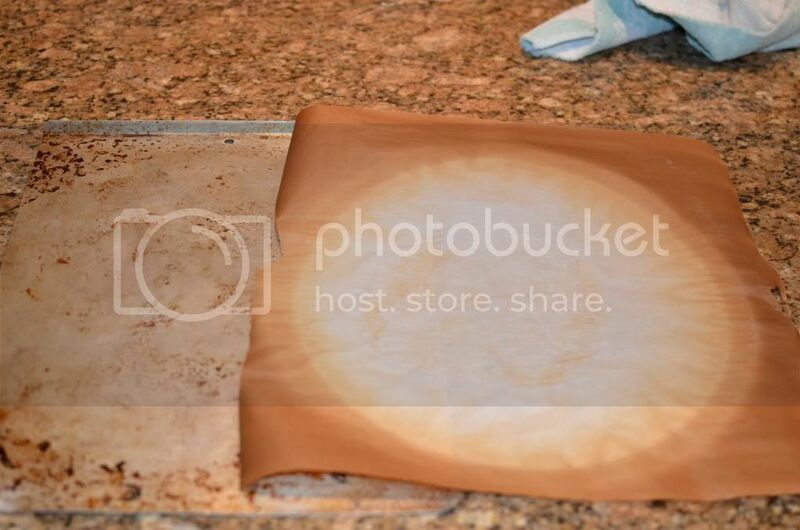 when I'm ready to bake, I do a last minute edge tuck-under of the dough ball, using the aluminum cookie sheet as my faux oven peel, slip the dough-on-parchment into the oven on the stone. bake at 500/260 for 15 minutes. the parchment is optional, but works very well. after fifteen minutes, remove bowl, reduce heat to 450'F / 230'C and bake for 11-13 minutes more uncovered. 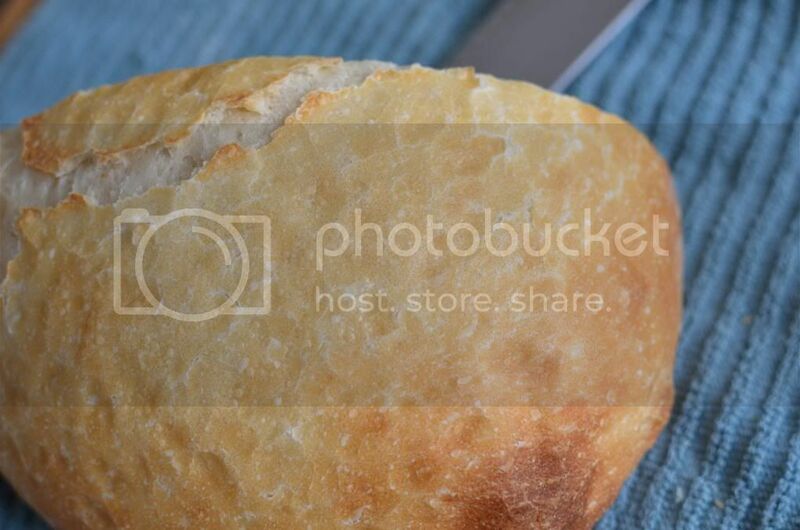 CAUTION: when removing the bowl / uncovering the loaf you unleash a bucket of live steam. 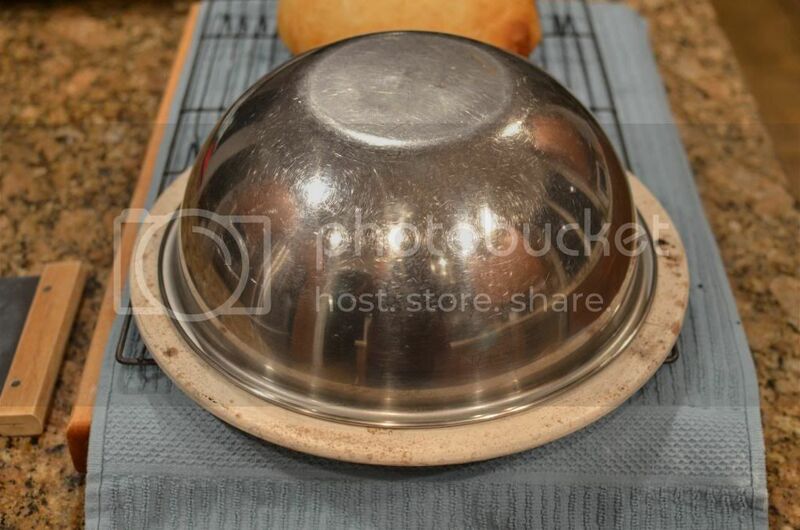 do NOT hover directly over the bowl - use of full length oven mitts HIGHLY recommended. before you can say "ow!" the 500/260 degree steam will have scalded you right good. don't ask how I know. Nice write-up. WIll share with friends. 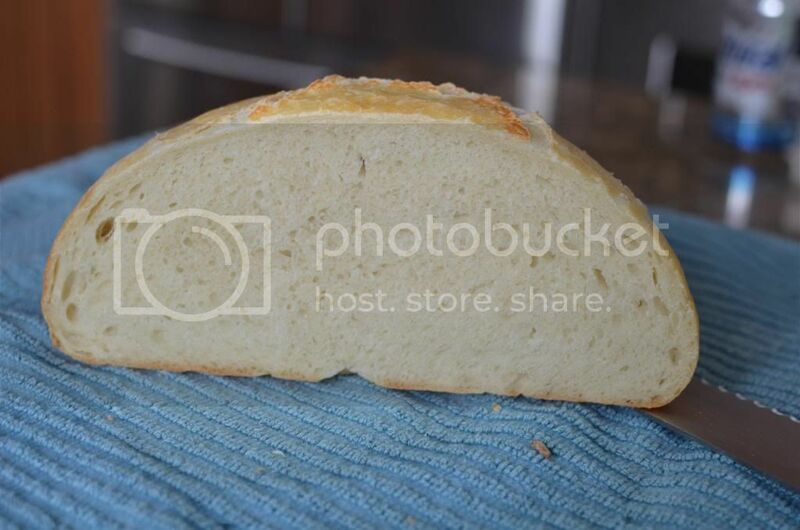 Making bread tomorrow in the machine and will cut the yeast as you suggested in a another thread. I think you said too much yeast eats up all the sugar and consequently deflates the loaf? Is this why you recommend cutting the yeast in half in this recipe if room temp more than 70°? yeast eats sugar(s) - obviously temperature has a big influence, but too much food = faster growth/multiplication/CO2. it can over over proof more easily/faster. it takes time for a good flavor to develop during fermentation. if it goes too fast altho it "looks good" the taste usually suffers - using less yeast will require more time for the dough to proof. Yeah, you're right: yeast eats sugar(s). it's a balancing act - using the right amount of yeast to start with vs. proofing time. wheat has natural sugars - recipes with added sugars can go too fast, especially in warmer temps.